Fishing Charters for when You LOVE the THRILL of the Chase. The ANTICIPATION of the Catch. The EXHILARATION of the Fight with incredible deep sea fish. And the ABSOLUTE JOY when you bring it Onboard.... 'YOU DESERVE' the BEST Fishing Trip Possible! . 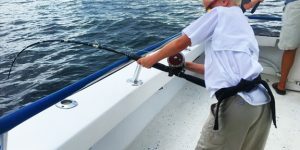 Are You Looking for the Best Deep Sea Fishing Charter in Panama City Florida, Panama City Beach, Florida or 30A Area? 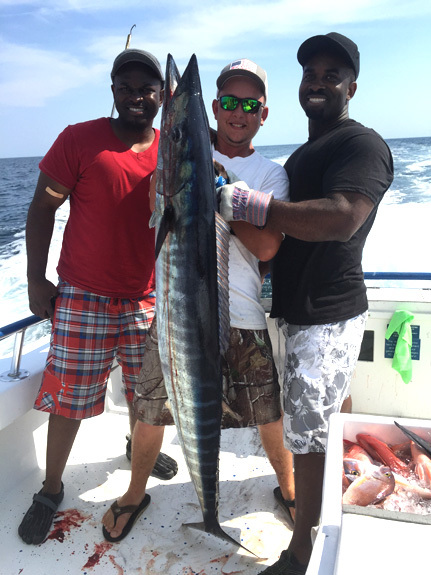 Our trolling trips can be 4, 5, 6, or 8-hour trips targeting King Mackerel, Spanish Mackerel, Mahi Mahi, Wahoo, Bonita and Cobia. The Gulf of Mexico has some of the best fishing in the USA. 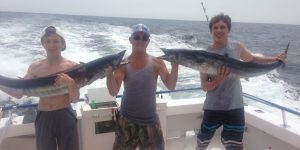 And our Panama City Fishing Charters get you right in the best action. Our bottom fishing trips range from 6-hour trips, all the way up to 2-day trips. 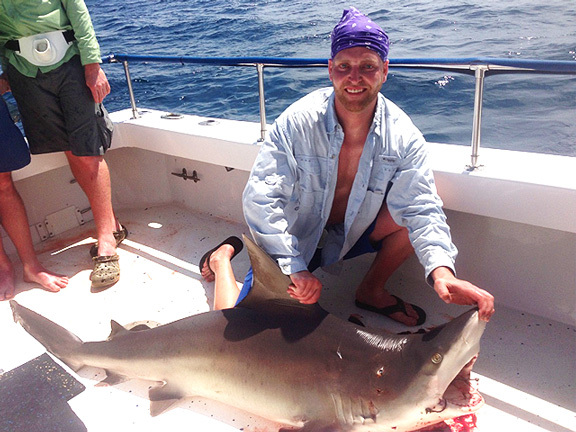 These are incredible Fishing Charters targeting a variety of Snapper, Amberjack, Grouper, Triggerfish and Cobia. All from wonderful Panama City FL. We offer blue water trolling trips from 12 hours up to 4 days. 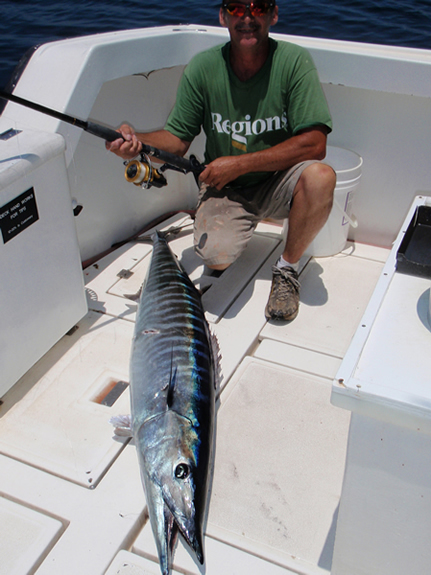 Our Fishing Charters can target Mahi Mahi, Wahoo, Yellowfin and Blackfin Tuna, Marlin, Swordfish and Sailfish for you. And give you a fishing trip you will remember for the rest of your life. 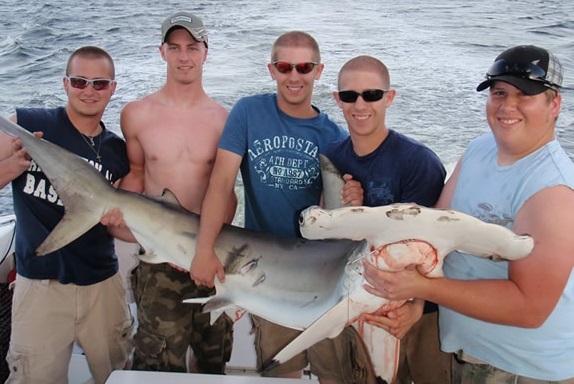 Our shark fishing trips range from 4-hour up to 12-hour trips. 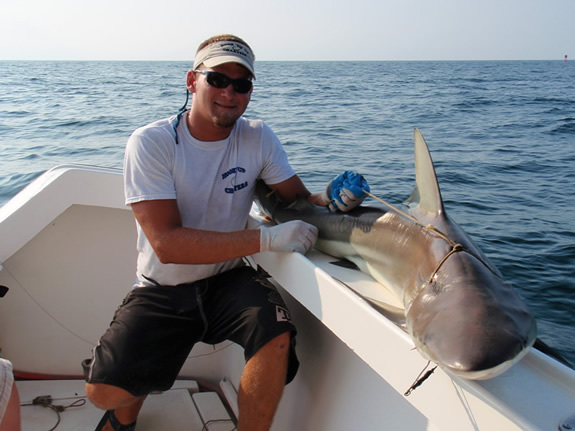 The most common sharks in the Panama City Beach area are Hammerhead sharks, Tiger sharks, and Bull sharks. Sharks can exceed 12 feet and 500 lbs. 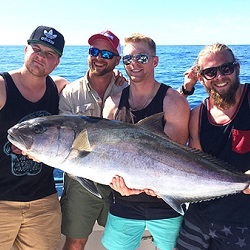 These Fishing Charters are very EXCITING trips! Perhaps the pinnacle of what Panama City offers. Fishing charters can be done anywhere. But an amazing fishing charter requires something really special. Capt B.J. 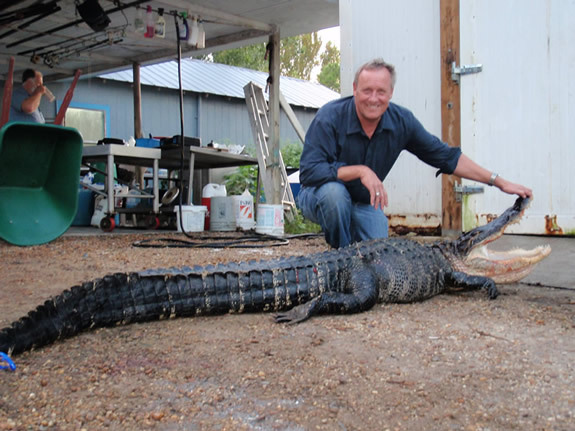 is a 3rd generation fisherman and was born and raised in the local waters of Panama City. 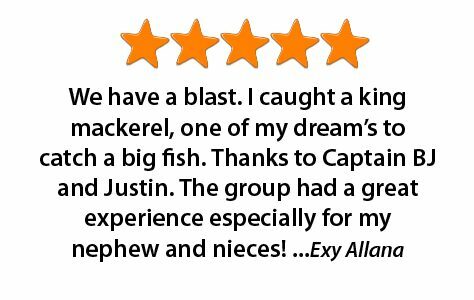 He is the owner and operator of Hook’Em Up Charters and will be the one you speak to you when you call …NOT just some charter BOOKING AGENT! Capt. B.J. 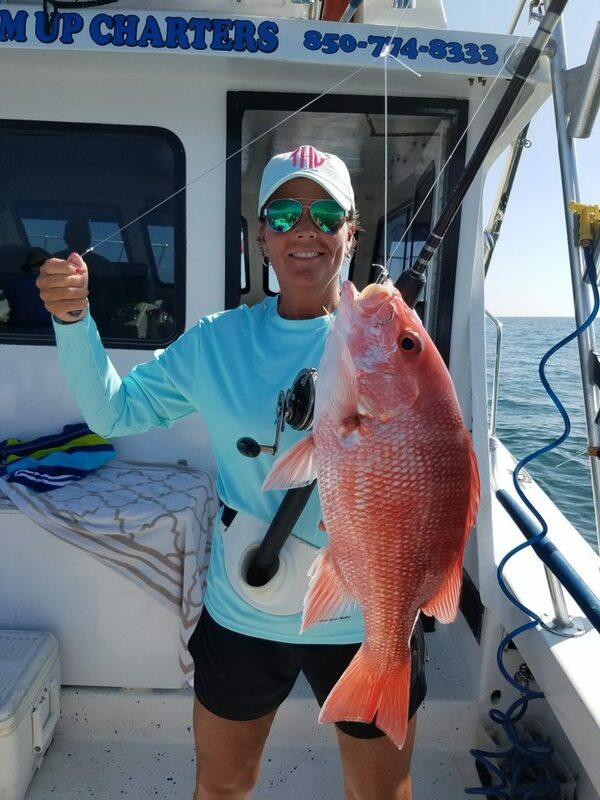 is a U.S. Coast Guard licensed captain, and has a wealth of fishing experience to make your fishing trip a great success!!! Just part of the reason why Hook’Em Up fishing charters in Panama City have such an amazing reputation. READ MORE about Capt. B.J. 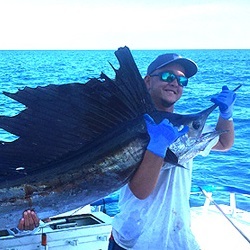 Click on the images below to see photos of the boat and the trips we offer! 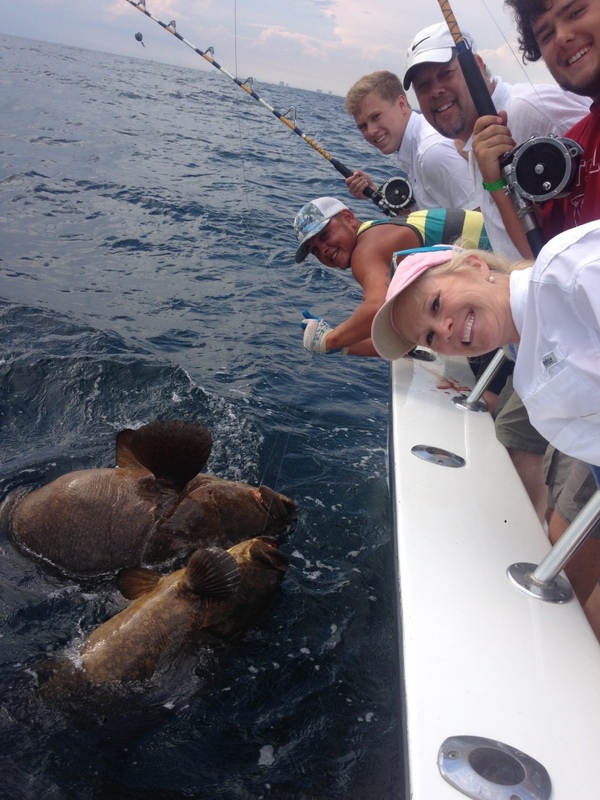 Once you have seen them, you will want your fishing charter to be with us in wonderful Panama City. 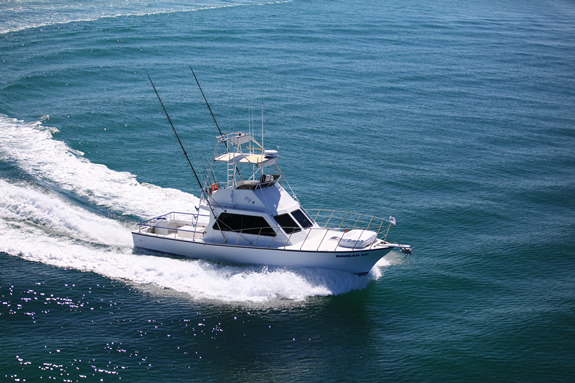 The ‘Hooked Up’ is one of the fastest charter fishing boats available in the Panama City fishing fleet. This speed allows us to get you to the fishing grounds faster, meaning more fishing time for you. 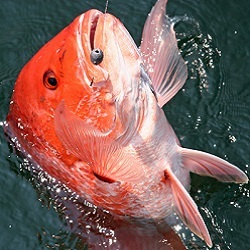 For fishing charters, we are one of the best in the business for producing large catches. But our fishing trips are about more than just catching fish. They are trips of a lifetime that families and their children will never forget. Some Fun Facts about our fishing trips? 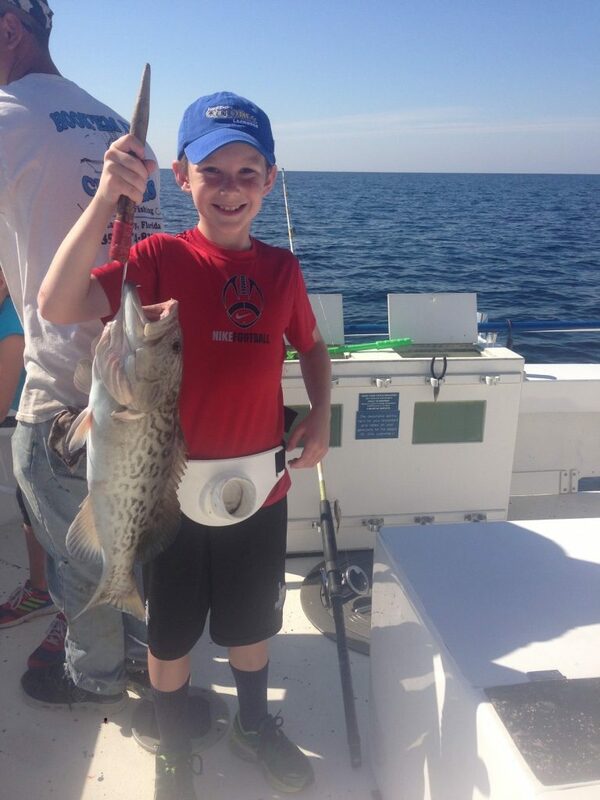 Panama City Fishing Charters More Reasons To Love US! 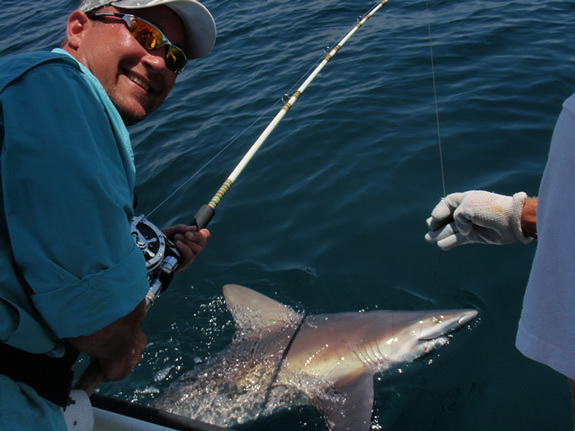 Wondering what awaits you on you with fishing charters in Panama City from Hook’Em Up? Just check the stats that have led us to be the best fishing charters in the area! Just a few more reasons to have faith and book your fishing charter with us. 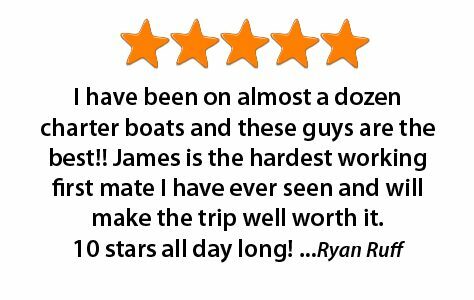 Here are just some of our many ‘5-star’ fishing charter reviews! 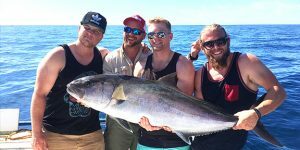 The total Panama City Fishing Charters low down! Read it and you will be wishing you were out fishing with us now! Fishing conditions look awesome here! YOU READY TO HOOK’EM UP? The best way to reserve your fishing trip is to call Capt. B.J. While fishing offshore we are in and out of phone range throughout the day. If we do not answer please leave a message and we will be sure to return your call as soon as possible and answer any questions you may have. Although we do reserve trips via email, it is not the quickest way to reserve your trip. 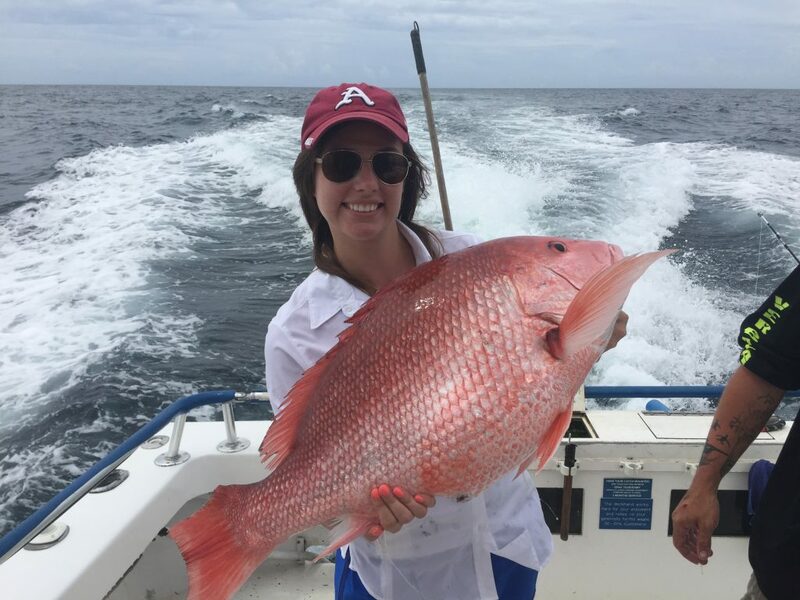 At times we do not have internet service while fishing offshore and you may miss your opportunity to book your preferred date. Please call first with any questions or to book your fishing trip today! We are located in the Captain Anderson’s Marina: 5550 North Lagoon Dr, Slip 1E. We are in the first slip after the Capt. Anderson Fleet. Stop by to see what we have been catching lately! If trip must be canceled due to weather or mechanical failure, trip deposit will be refunded in full. Weather cancellations are at captain’s discretion. Trips can be canceled outside of 14 days with no charge. Trips canceled 2 to 14 days prior to trip will be charged 1/2 of the trip cost. If we are able to refill the canceled trip with another trip there will not be a cancellation fee. Trips canceled within 24 hours or no shows will be charged the full price of the trip. So truly you are best off never canceling your fishing charter. 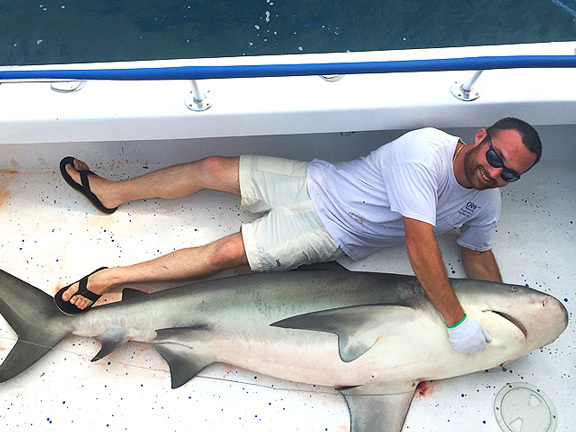 While the financial cost of canceling a fishing charter is less than fun. Missing out on landing that beautiful record deep sea fishing catch, well, that is something else entirely. You know how much you love fishing. You know how much fun, and fulfillment you’ll get from joining Hook’Em Up fishing charters in Panama City. So book your Panama City fishing charter today, and do everything you can to ensure you get to enjoy it!